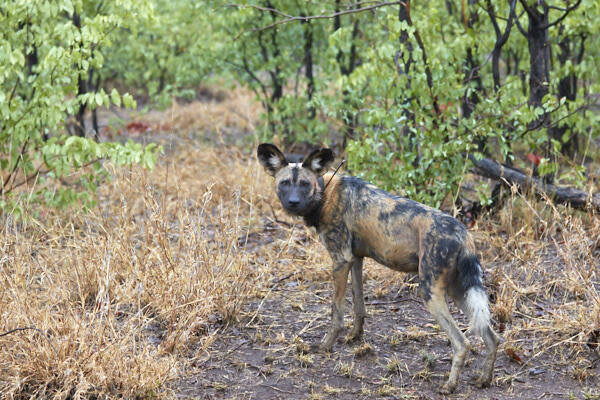 Wild dogs are endangered in South Africa. 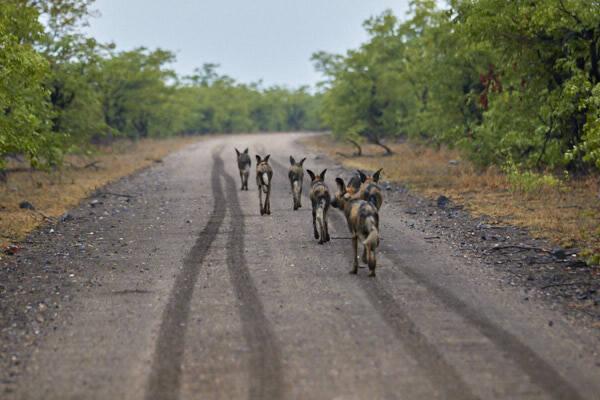 There are currently about 250 wild dogs in Kruger. Last year they released a new pack around Shingwedzi. 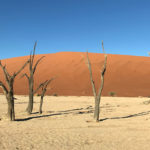 This is situated in the northern part of Kruger. There were no wild dogs in the northern part left until that moment. In the late 1990s there were 19 packs but this declined to three packs. 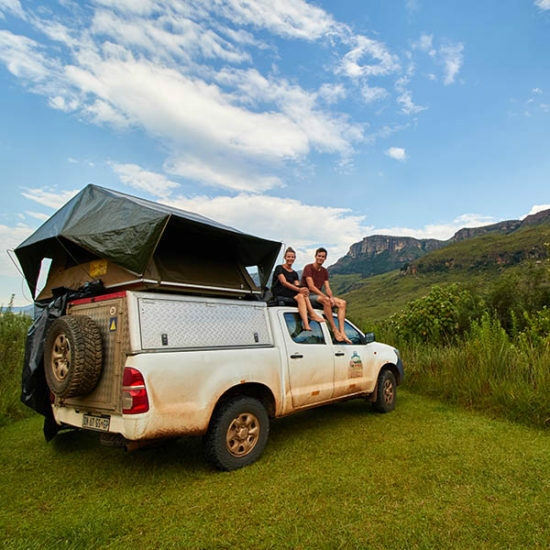 The three packs moved to the southern and western part of Kruger. The large declination was caused by diseases, snares and low prey numbers. Wild dogs do not do well when competing with lions. The more lions there are in an area the less wild dogs you’ll see. 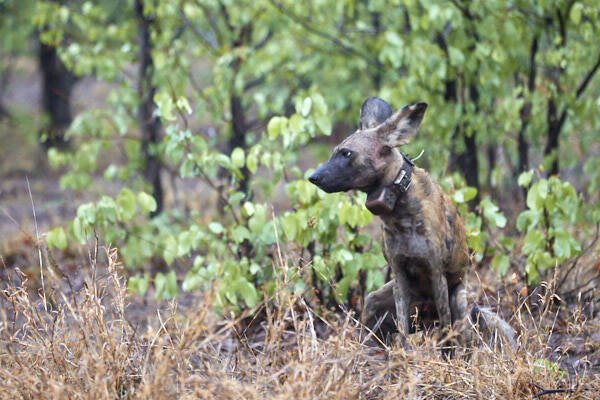 The reintroduced pack consists out of four females from Hluhluwe-iMfolozi and four males from uMkuze Game Reserve. They spent a total of six weeks in a ‘Boma’ near Shingwedzi to bond and get to know their environment. In October they were released into Kruger National Park. Within their first 24 hours they had successfully evaded a pride of lions and made a kill. 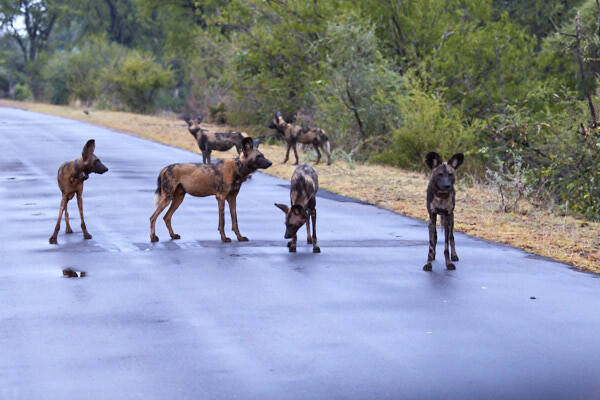 Since we arrived in Kruger we wanted to see wild dogs and especially this pack. 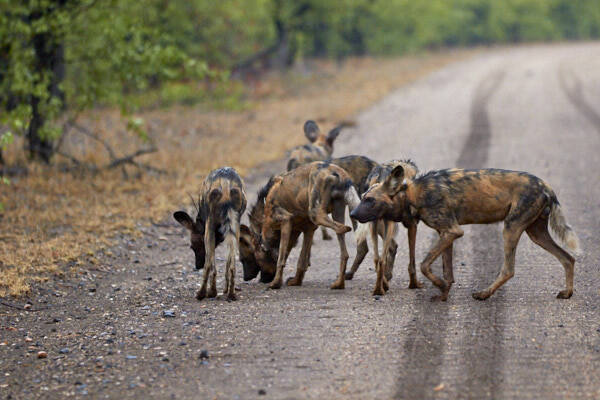 We missed the wild dogs in Kruger on several occasions. There are so many routes you can take. Although we have a book with all the routes in it with an explanation about the wildlife we didn’t manage to spot them. 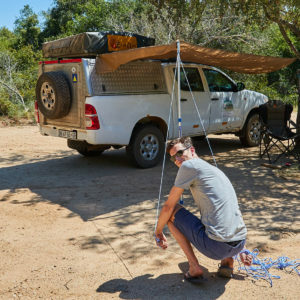 On every camp there is a sightings board where people can put a magnet on the board if they see lions, wild dogs, cheetahs or buffalos. On different occasions we saw a little ‘wild dogs magnet’ on the board on the roads we just drove on. We even downloaded an app called last sightings. You get a push notification when there is an interesting sighting so you can drive towards it if it’s close enough. It is a bit of cheating and it’s much more spectacular if you spot an animal yourself. However, we really wanted to see them. 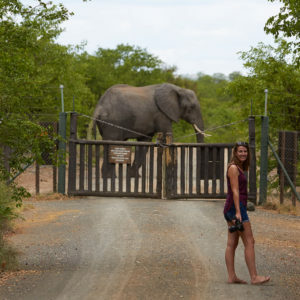 Would we have a bit more luck the next day in the northern part of Kruger? The sightings board indicated that someone spotted the dogs in the area close to the next camp. Therefore we decided to drive from Mopani to Shingwedzi (75km further up north when you can drive 30/40 km per hour!). They were spotted at the Kanniedooddam. We drove just about as fast as Lennart is in an average football game (slow 😉 ) to spot the best we could. In the end we were unsuccessful, no wild dogs in Kruger today. Instead we had breakfast in Shingwedzi. We passed the sightings board and saw that the wild dogs had moved up north. So after the breakfast we decided to drive a little bit further because we were so close. 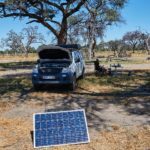 After a few kilometers we decided to head back to Mopani without seeing wild dogs. The next day we slept in Shingwedzi so we had to drive all the way up again. We didn’t spot a lot of animals so we drove a little bit further than Shingwedzi. After we took a turn, there were three lionesses staring at me with two cubs. It was so pretty. They were lying in the shade under a tree. After a while we drove further near the river, unfortunately no wild dogs. We woke up the next morning in a rainy Shingwedzi. 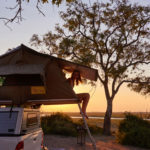 We folded our rooftop tent and went on early morning drive. After a minute and a half there were animals on the road. We thought it was a big pack of hyenas but when we came closer we saw that it was what we had hoped for: wild dogs. This was the pack that we wanted to see. For this pack we drove over 200km and now they were standing in front of the camp. Awesome!! They were looking for something because they went down the dry river and walked to the other side. 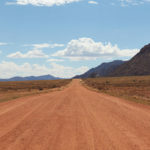 We knew there was a road so we drove fast to the gravel road. Maybe we were lucky and see them again on that side. We drove up and down the road a couple of times and then we saw them again. They were walking on the road and left their fragrance (you know what I mean 😉 ) here and there. 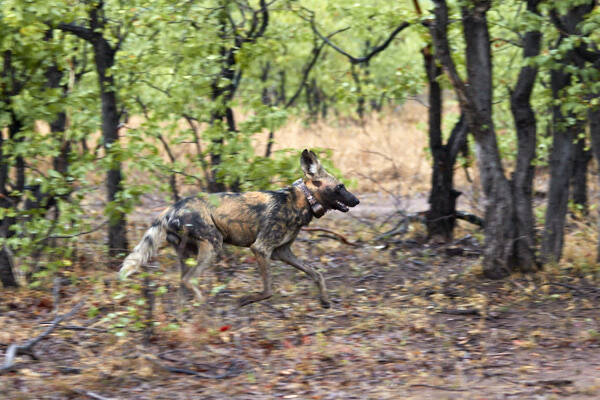 One of the wild dogs had three legs, the pack leader. We drove next to the wild dogs until they walked away. We were so thrilled!